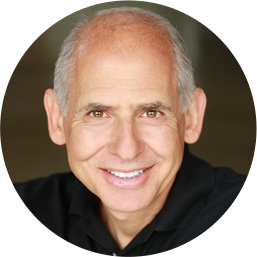 Dr. Daniel Amen:	Welcome to the Brain Warriors Way Podcast, I'm Dr. Daniel Amen. 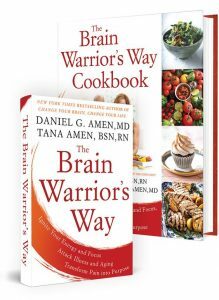 Dr. Daniel Amen:	The Brain Warriors Way Podcast is brought to you by Amen Clinics, where we've transformed lives for three decades using brain SPECT imaging to better target treatment in natural ways to heal the brain. For more information, visit amenclinics.com. 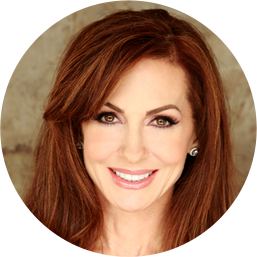 Tana Amen:	The Brain Warriors Way Podcast is also brought to you by BrainMD where we produce the highest quality nutraceutical products to support the health of your brain and body. For more information visit brainmdhealth.com. Welcome to the Brain Warriors Way Podcast. Dr. Daniel Amen:	Welcome back, here with Chase Mattioli and we're talking about it's insane not to look at your brain. Let me read another review, I love these. This is MCRDWN from the United States "Just found this podcast and listened to ten episodes. Help for stress, anxiety, gut health, diet plus loads of skill for managing life. Love your easy manner and honest sharing of personal stories. Thanks so much, you have a new fan." Which we are grateful for. So Chase and I are talking about Chase's story. And grew up around the Poconos Speedway, race cars, did a lot of sort of thrill seeking. Dr. Daniel Amen:	Behavior. But, young, started to suffer with anxiety, depression, irritability, got diagnosed with bipolar disorder on multiple medications. I think one of your other diagnosis was intermittent explosive disorder which means your temper's really bad. Dr. Daniel Amen:	And then you actually saw one of our friends, a chiropractor. Dr. Daniel Amen:	In Chicago and Dr.[inaudible 00:13:37] and he recommended you get scanned. Dr. Daniel Amen:	That's just despite being on your medication. Chase Mattioli:	All my medication, yep. All my medication and I was working out, which I thought was good, taking tons of whey protein, because I was trying to put on muscle and all this other stuff, bad idea. So anyway, everything I thought I was doing to help my health was actually super bad and hurting me. And I had this breakdown and luckily Dr.[inaudible 00:13:37] was able to basically identify and say "Hey, you should definitely go to one of the clinics." And at the time when I was living in Chicago you didn't have the Chicago clinic open, so the next closest clinic to me was New York. So I ended up going to see Dr. Rishi Sood and he was amazing, I really loved my experience there. Dr. Daniel Amen:	Yeah, Dr. Sood's a triple board certified psychiatrist, he's board certified in general psychiatry, pediatrics, child psychiatry. When he first came to work with us he was about 80 pounds overweight. Dr. Daniel Amen:	Cause' he'd spent so much time training, but no time taking care of himself. Dr. Daniel Amen:	And after you work with us for awhile you realize your lifestyle really does matter. The food you eat really does matter and he's like "Well I can't tell people to get healthy if I'm not healthy." Dr. Daniel Amen:	And so it was super fun for me to get the emails on a regular basis "Hey, I'm down 20 pounds, I'm down 40 pounds, I'm down 80 pounds and I'm exercising." Dr. Daniel Amen:	It was really awesome, yeah. He's one of our great young doctors. Chase Mattioli:	Well and the way you just said young, that was the cool thing for me is most of my doctors that I worked with my whole life were probably 40 years older than me. And not that that was bad, but Dr. Sood was closer to my age and we were just able to communicate on I think a different level. Cause' I was 80 pounds overweight and he was like "Oh, I get it." I'm like yeah [inaudible 00:05:01] so we are still pretty good friends, I talk to Dr. Sood maybe once every few weeks or so, he's just a great dude, really enjoyed my experience with him. Dr. Daniel Amen:	And you know that's one of the analogies I've used almost from the time we've started the scan? Is if your car smokes, uses too much gas, stalls in the middle of an intersection and you took it to a mechanic and you just told the mechanic the symptoms and he decided to do something major on the car without popping the hood, would you trust the mechanic? Dr. Daniel Amen:	Absolutely not. It's like aren't you gonna look? How do you know unless you look, yeah. You're suffering, anxiety, depression, with the irritability and no one's looking, they're assuming based on a checklist you meet six out of these nine criteria, you have bipolar disorder. Which is really a lifelong disorder, which you should be medicated for the rest of your life. Dr. Daniel Amen:	Because there's a very high incidence of relapse and even suicide and no one's telling you how to optimize your brain because no one has looked at it. So toxicity never comes up, head trauma may come up once, you know when we saw your scan one of the first things I learned doing scans is mild traumatic brain injuries ruin people's lives and nobody knows about it. And even though most psychiatrics go "Well, have you ever had a head injury?" You'll go "No." And then we go "Well are you sure? Have you ever fallen out of a tree? Fell off a fence? Dove into a shallow pool? Been in a car accident? Played sports, where you got a concussion." And then people go, I remember when I did it with your stepmother, she's like "No." And then after I went "Are you sure?" She then told me about eight concussions. Chase Mattioli:	It's funny you know you were talking about Dr. Sood and when you work here, it's kind of hard not to get that healthy culture. And then you learn so much because you listen to the podcast, you're reading your books, took the brain health code [inaudible 00:07:59] course and now I'm like doing histories on myself with my mom all the time. "What happened when I was six? Like did I do this? Did I fall out? What was I eating? What did you eat when you were pregnant? Cause I need to know." Yeah they hate me, but it's so much fun and now that I'm conscious about it, it's kind of, I think you say this a lot too, if you get one person you'll probably get ten, cause' you're gonna get through family and you're gonna get everybody else. And one thing you do say is be around the most healthy person you can stand. Luckily my family can still stand me, I think they're kind of on the cusp of it right now, but it's been really cool cause' now I get an education from you and I'm able to share it with them. And if 20 percent of it sticks, I'm kind of stoked on it, you know it's harder to change everybody but it's helping. Dr. Daniel Amen:	Deal with nuts all day long. And then when I got really healthy after looking at my own brain, he's like "Oh great, now you're a health nut. What's with you and the nuts?" And "I can't live without my bread and my dessert." And then when he got sick, I'm the first person he said "I'm sick of being sick, what do I do?" And then he completely transformed his life. I mean it's like one of the best stories of my life. So if you live the message and that's the whole Brain Warriors way, because you're in a war for the health of your brain, you know that now, right? People are easy to give you psychiatric drugs, they're, it's easy to give you bad food, it's easy to encourage you to do behaviors to put you at risk for trauma and damage. If you are not armed, prepared and aware, you lose. And then it affects your relationships, it affects your ability to work, cause' you're really bright. And but if your brain's not right, you never live your potential and then you're unhappy. Like a self-esteem really comes from the difference between where you think you should be and where you are. Dr. Daniel Amen:	And if you're not close to where you think you should be, you get into self loathing. And so, but you go to New York, you see Dr. Sood, he sees the trauma in your brain. And did he put you on more medication? Dr. Daniel Amen:	The people listening don't know that, so your temporal lobes are underneath your temples, they're behind your eyes, they're large structures in the brain. But they have this very important part of your brain, some of you have heard about it, it's called the amygdala, it's Greek for almond because it's an almond shaped structure and it's involved with anxiety and emotional reactiveness. And it sits right behind a very sharp bony ridge and is easily damaged from concussions. I always say if God used me as a consultant, I would've said please put a bumper guard there. Dr. Daniel Amen:	When you damage both of them, when they do this in monkeys, they have this thing called Sham Rage, it's like for no reason [inaudible 00:12:13] they get very aggressive. And when you look back and you're like "Why did you do that? How is that helpful? Did that really get you what you want?" Dr. Daniel Amen:	And almost everybody, almost everybody who's been diagnosed with intermittent explosive disorder, has trouble in their temporal lobes. And so sometimes anti-convulsims help, sometimes brain rehabilitation helps, like we talked about hyperbaric oxygen. Dr. Daniel Amen:	So when you stay with us, we're actually gonna talk about the steps that Chase used to rehabilitate his brain and get healthy. Stay with us.